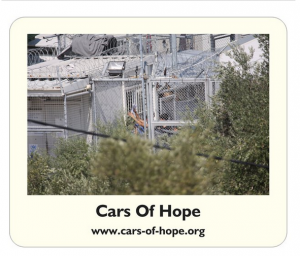 Mousepad with Cars of Hope Webadress. Image from the Moria Refugee Camp on Lesvos, Greece. All profits of this product will be donated to Cars of Hope to support their work (mutual aid) with refugees on the Balkan route.